I’m heading off to teach today, and I’ll be honest, I’m nervous. I’m not nervous about the material because I’ve taught it a million times (just not in this format). But I’m nervous about logistics, and getting there on time, and about how I’ve put everything together, and what to wear, and the biggie–what will people think of me? Will they like me? 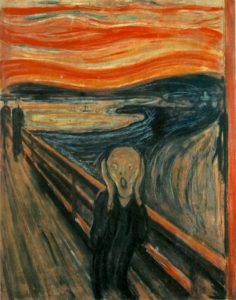 If you stop and think about that one for a minute, it is the most ridiculous fear on the planet. We can’t control what other people are going to think of us. We can be kind and open but if someone takes an instant dislike to us, there’s not much we can do about it. I can’t tell you how many times I’ve taken an instant dislike to someone–and later become close friends with them. Yet this is one of the most crippling fears people have. Oh, we humans are a funny lot. That’s the best antidote to fear that I know. It doesn’t have to be big action, it can be something little. Tiny, even. Because teensy actions pile upon each other and cumulatively become big actions. I remember reading Susan Jeffers book back when it first came out and being so fearful that the thought of taking action was simply overwhelming. Back then, I could never have imagined publishing a book. Leading writing workshops in France. Or teaching others. But little actions built up. I went to a meeting of a writer’s group. Joined a critique group. Put words on the page regularly and started shaping them into something more than journal entries. Took the scary step of showing those words to others. And one day I found myself on the plane to Paris (alone–something else I couldn’t have imagined). Before I started traveling regularly, I had a fear of flying. I’d grip the arm rests and hyperventilate during take-off and landing. But then I realized that if I ever wanted to go anywhere I better get over the fear. It is still not my favorite thing to do, but its not the worst, either. Doing something over and over helps quell the fear (though I still get nervous about logistics, that’s for damn sure). Write a word, make the phone call, visit the gallery you want to represent you. Send the query, ask someone for something you want, whatever it is that fear prevents you from doing. Sit down at the computer and write the next scene of your novel or memoir. Because here’s the best part–once you’ve done that thing you’ll be flooded with the most glorious feeling of sweet relief. Because you’ve overcome fear. In many ways, I think it is the life journey we all share. How do you overcome fear? Please share. I’m off to teach at Sitka today, which is located on the beautiful Oregon coast, so I won’t be back in this space until next week. But follow me on Instagram for lots of photos! 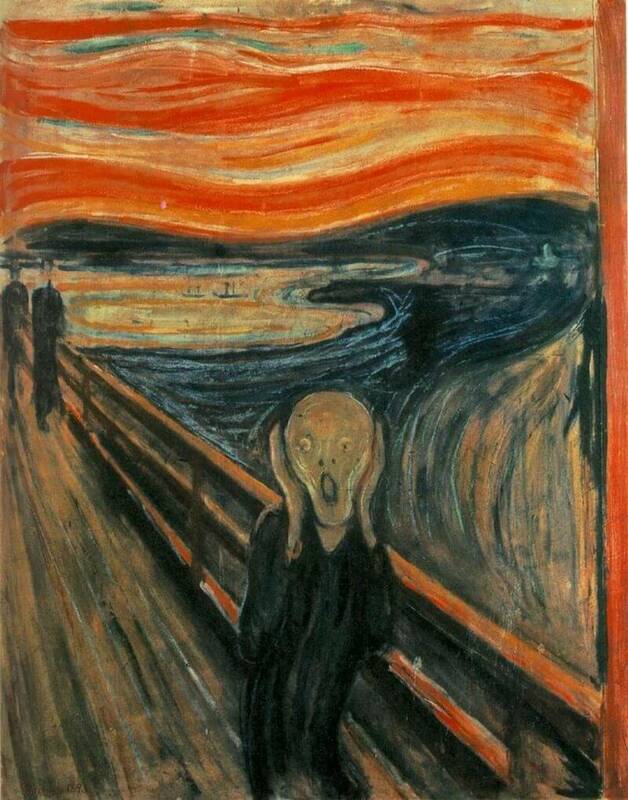 The image is The Scream, by Edward Munch, of course, and it is in the public domain. Hey Charlotte! Its been an exciting experience reading your blog. I have reaped so much from the harvest of your work. Like the blog, I just read its so true. I am truly inspired to keep at it. To keep writing. I hope to meet you someday. Thank you so much! I’m so happy the blog has been helpful. And I’d love to meet you some day, too–maybe you can come to one of my workshops! Thanks, Don! I so appreciate you. How are things?